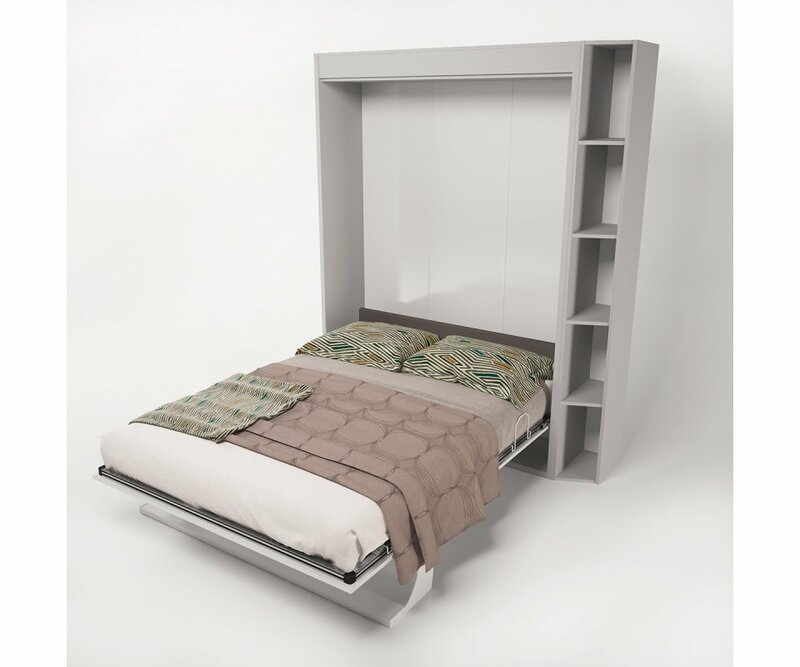 COMPACT SPACE-SAVER: In 17 ½”x64 ½” of floor space, you can create a sleeping area with a queen size bed for yourself or guests! 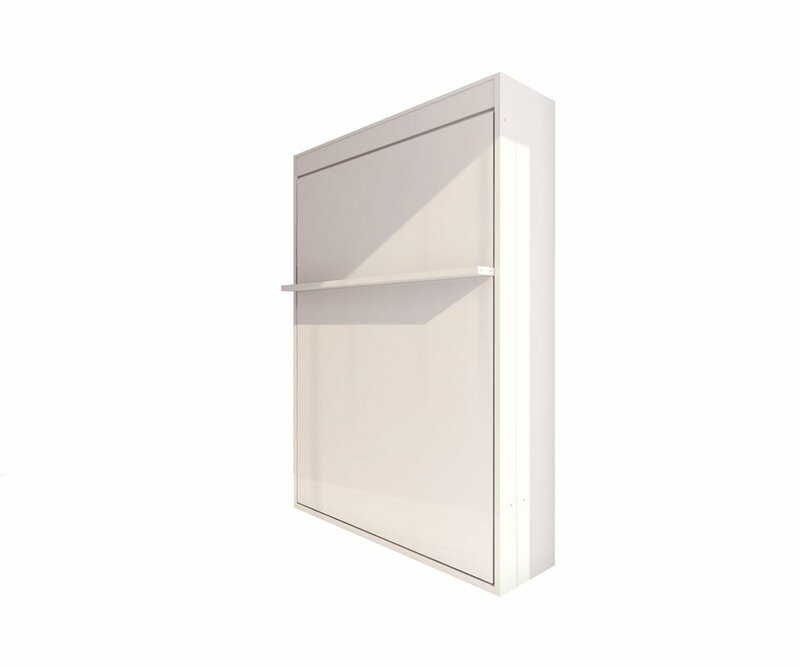 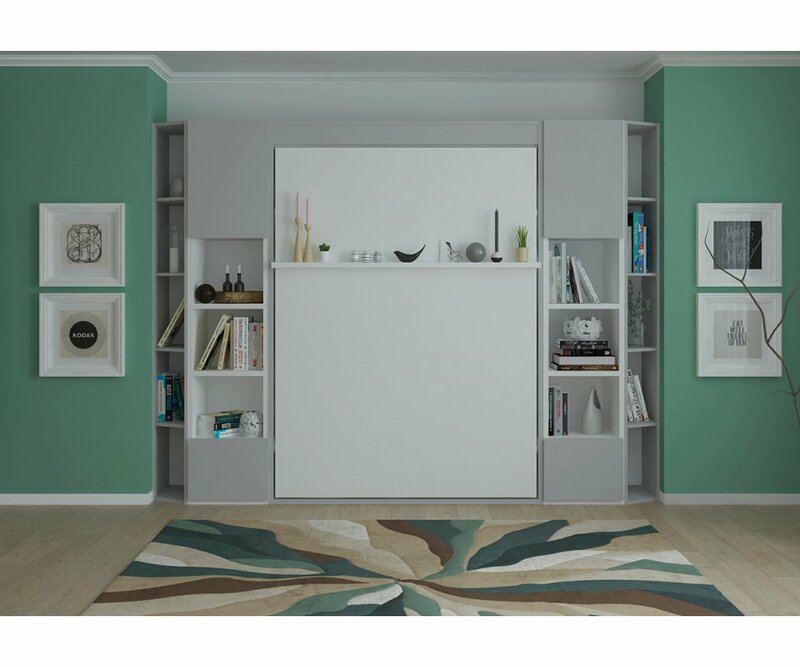 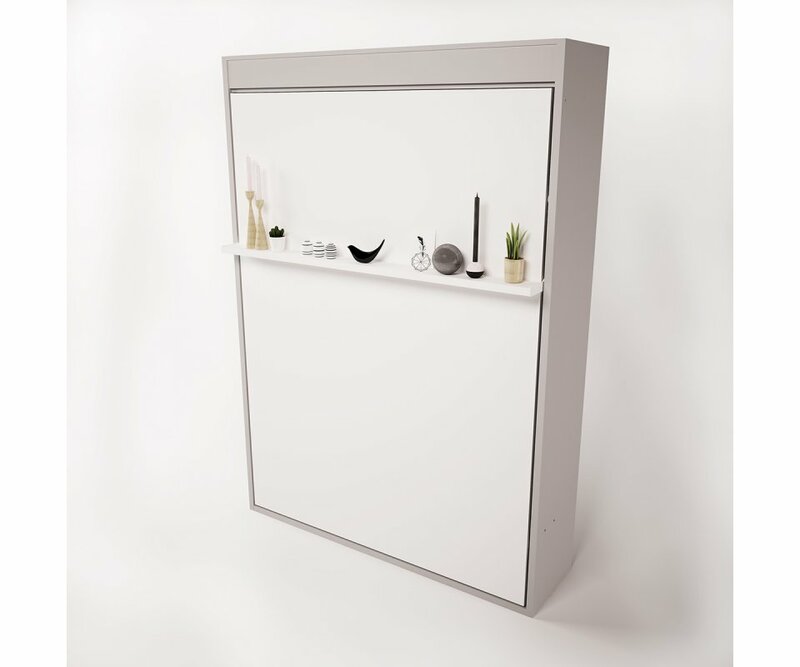 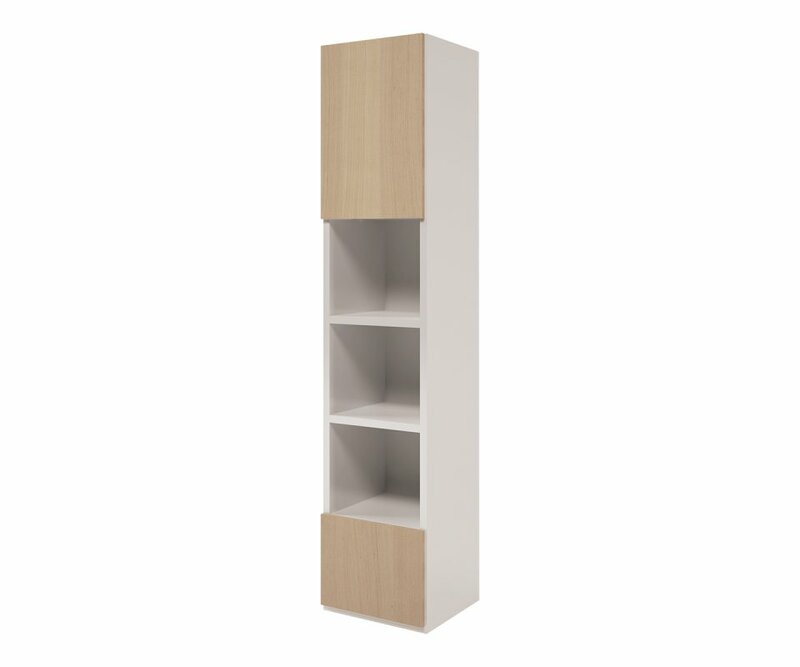 MULTIFUNCTIONAL: When closed, the cabinet creates an extra wall, complete with shelf, so you can add home décor accessories to the top of the cabinet and the shelf. 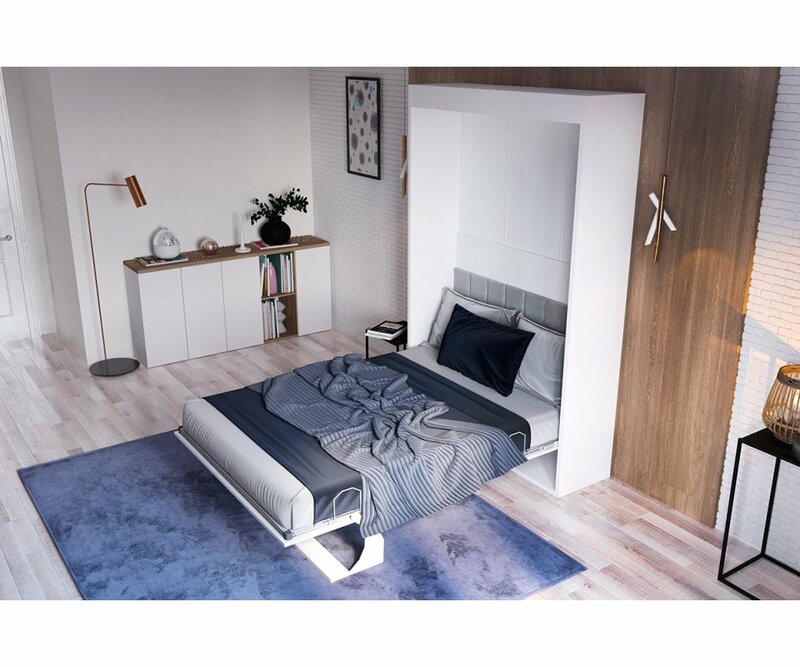 When open, you have a bedroom! 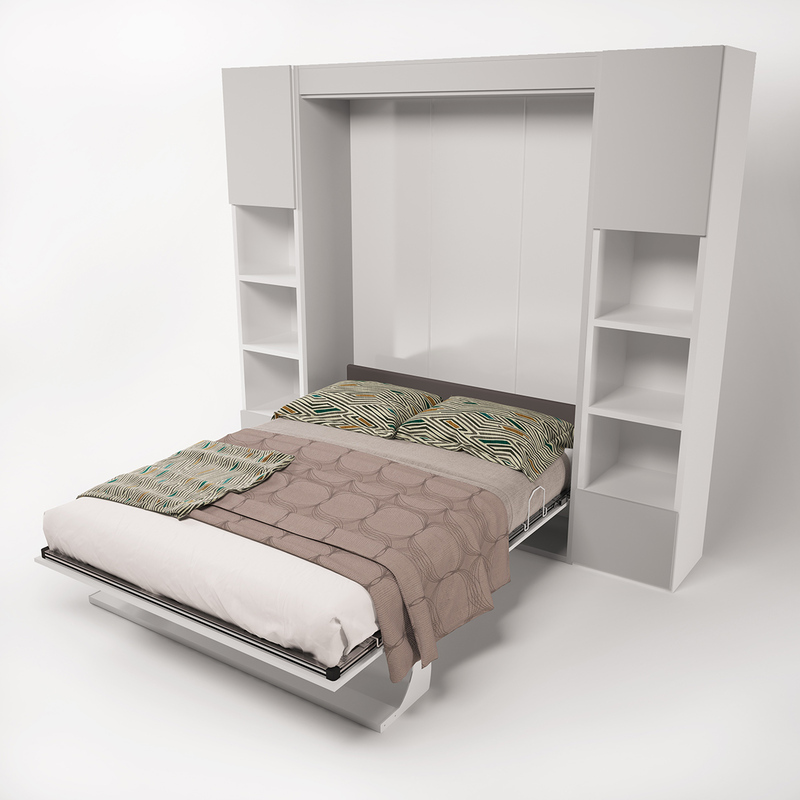 EASY MECHANISM TO OPEN: New generation gas shocks make it easy for you to open and close the bed mechanism with one hand! 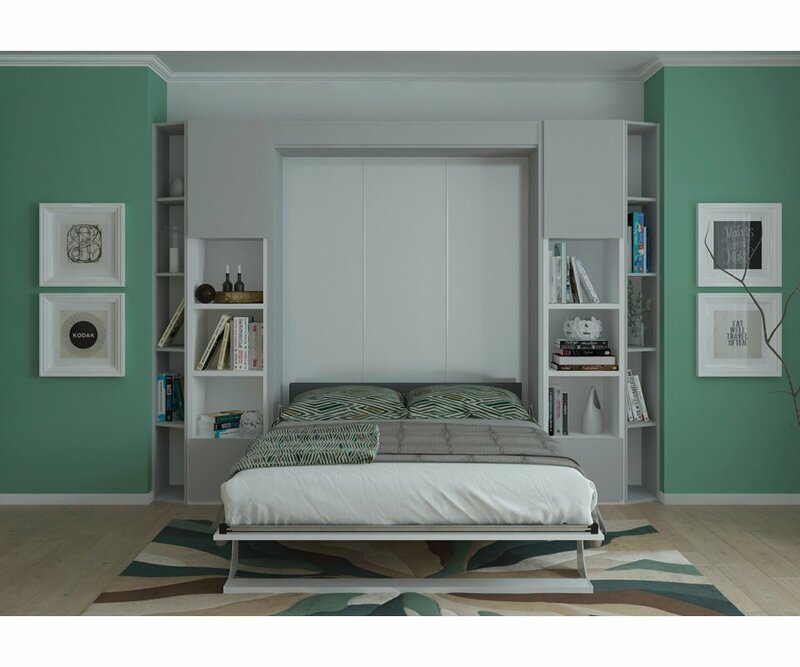 Does your home computer room, family room, or office need to double as a guest room? 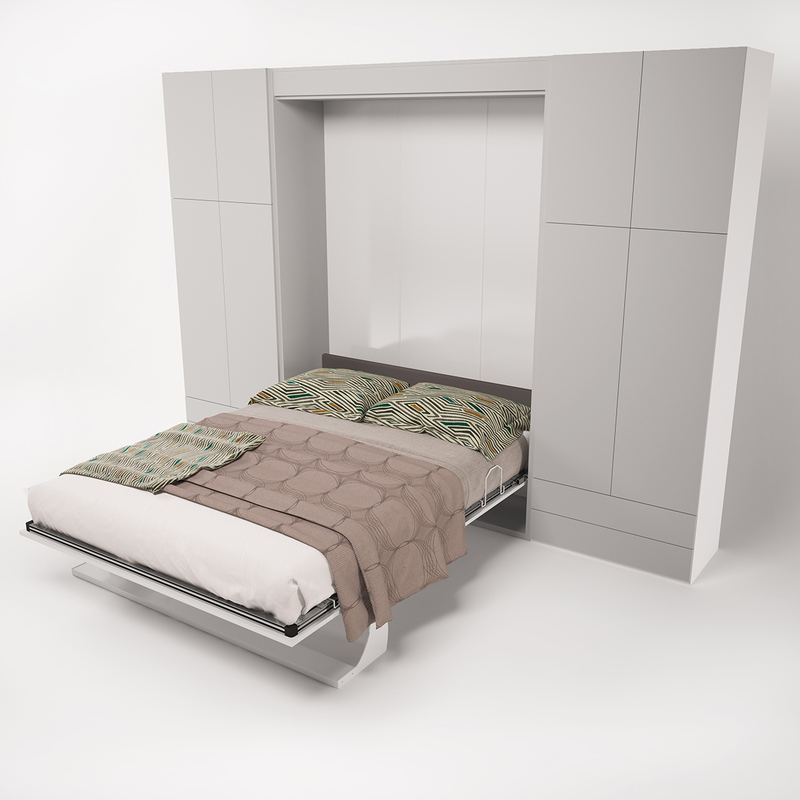 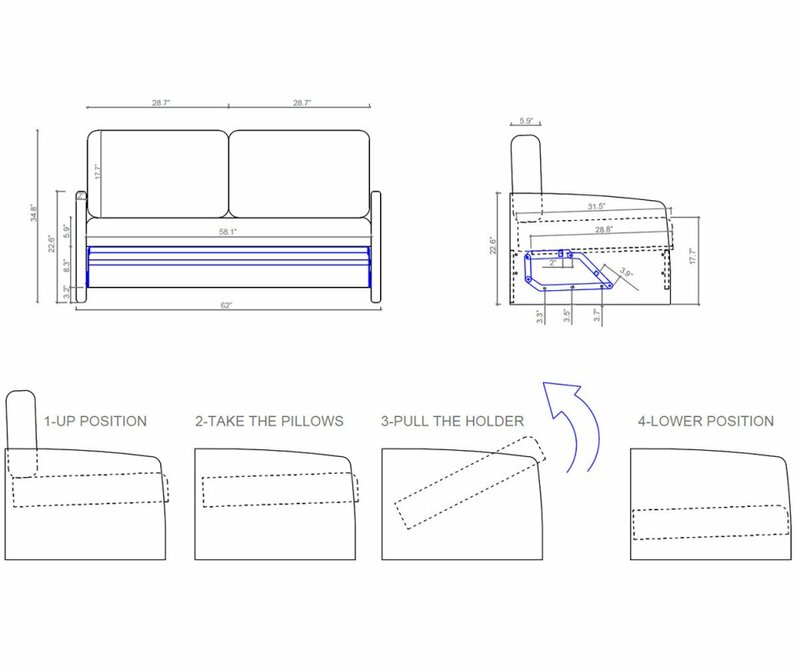 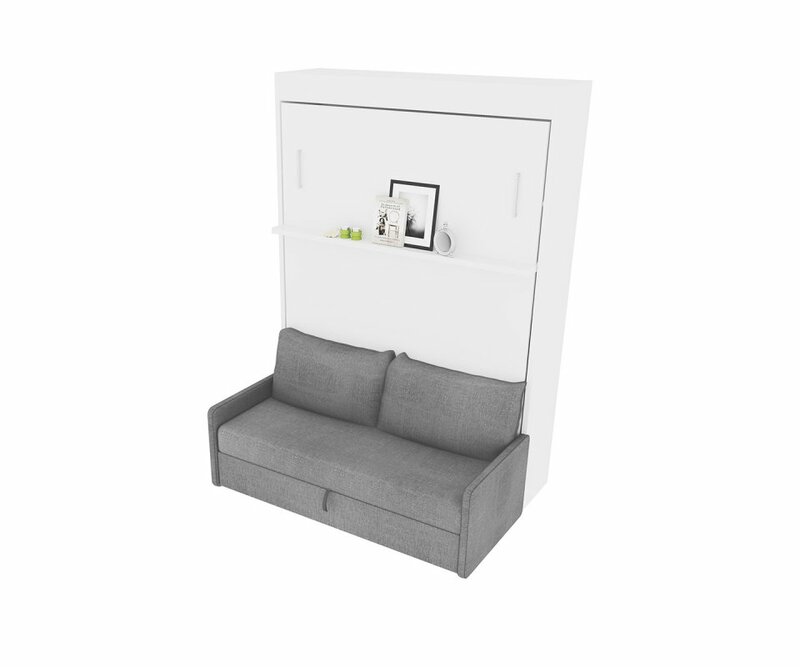 Would you like to find an alternative to the uncomfortable sleep sofa or working in a cramped corner of a guest bedroom? Here’s a way to have the best of all worlds. 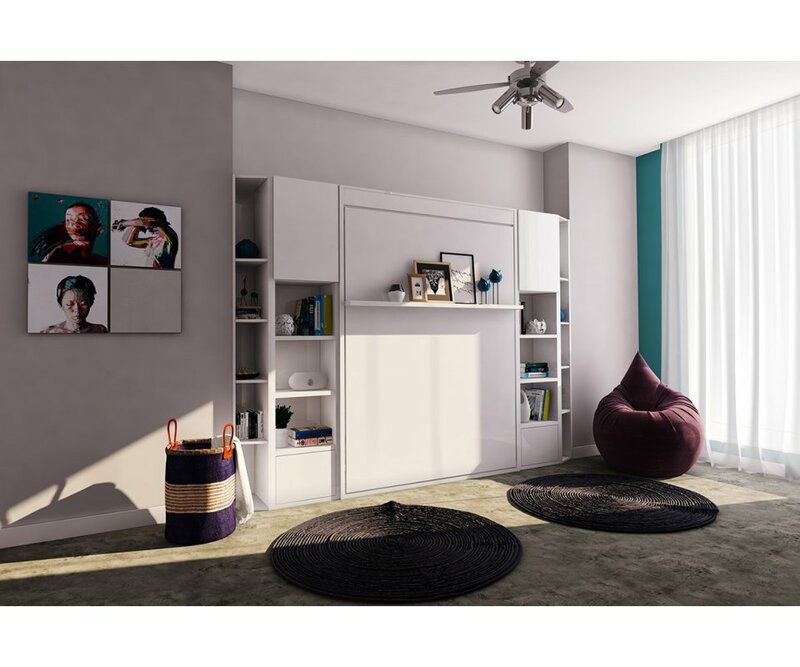 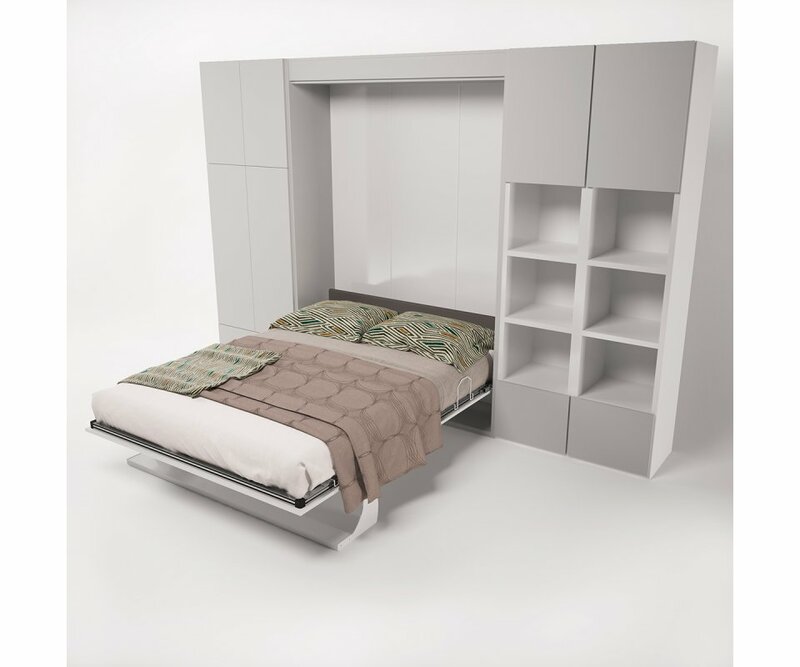 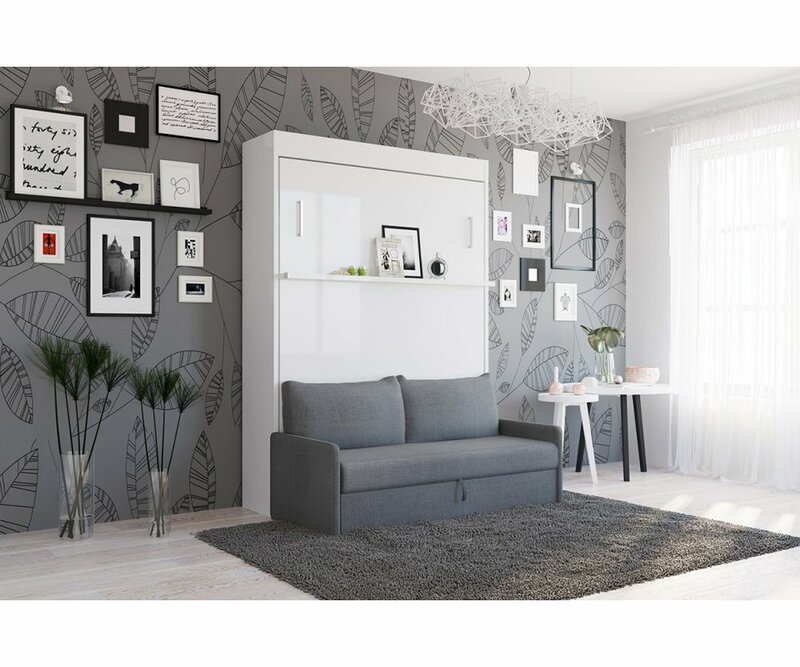 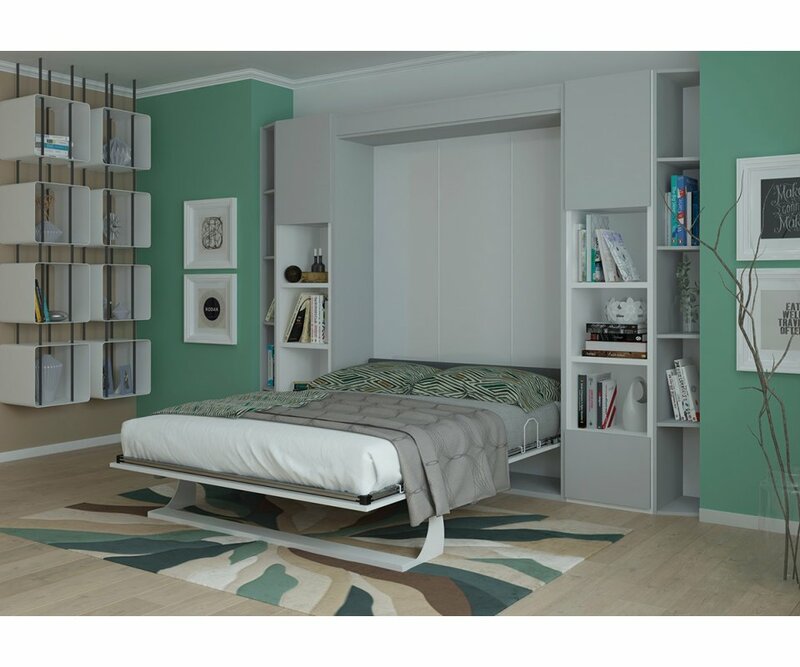 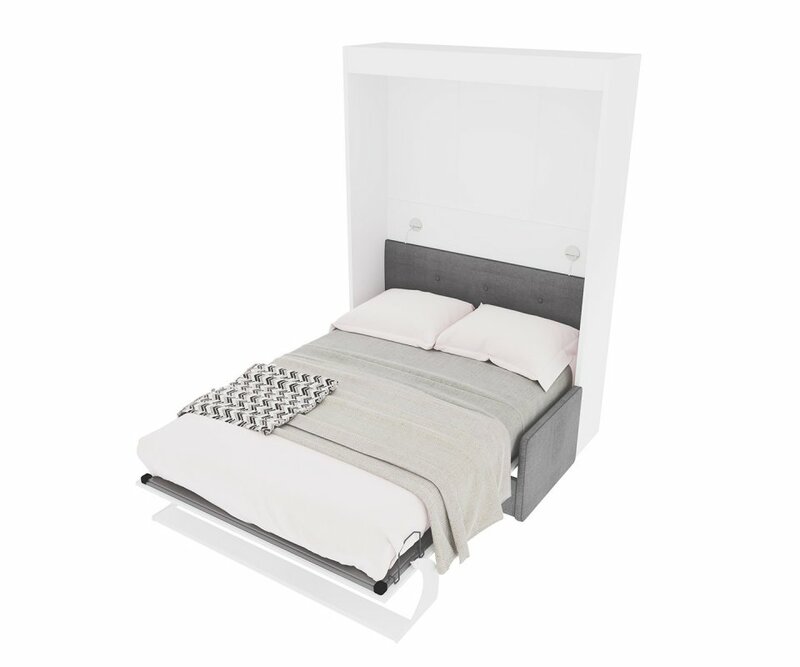 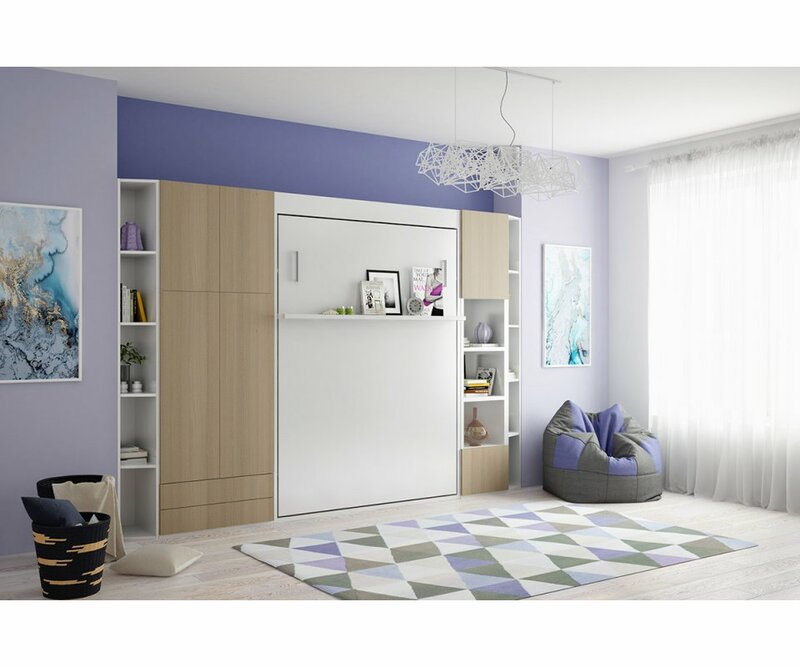 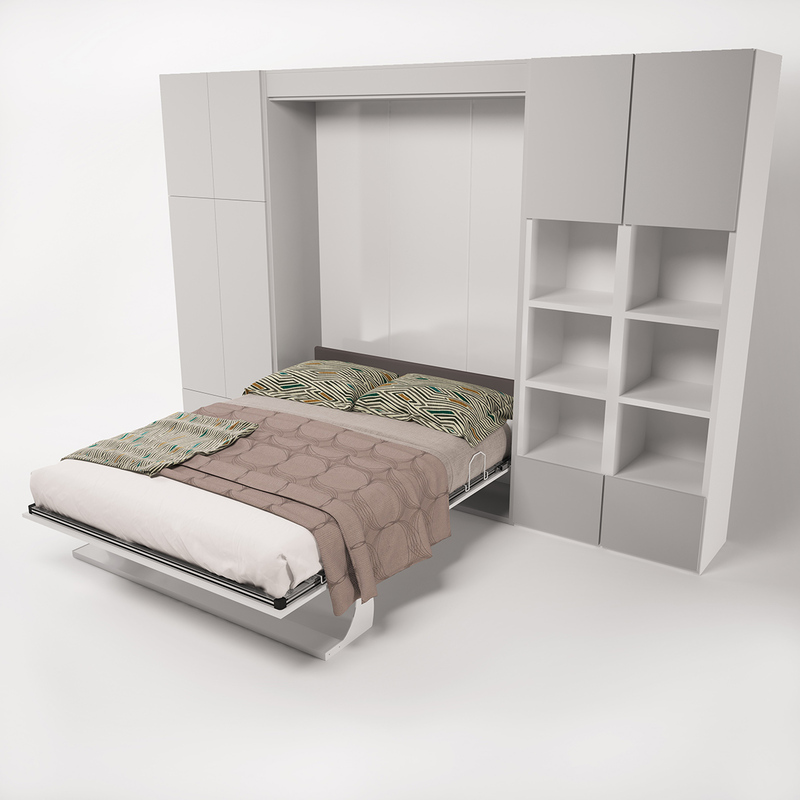 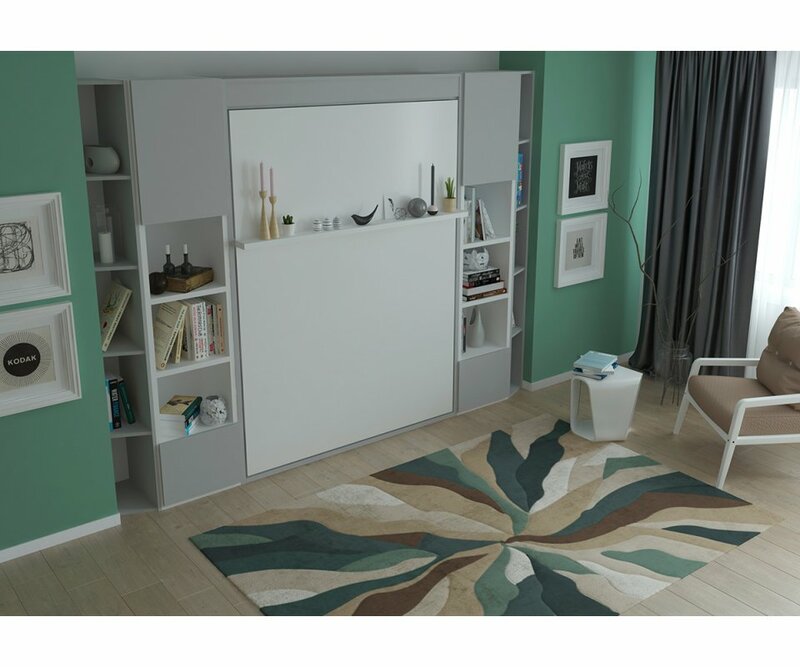 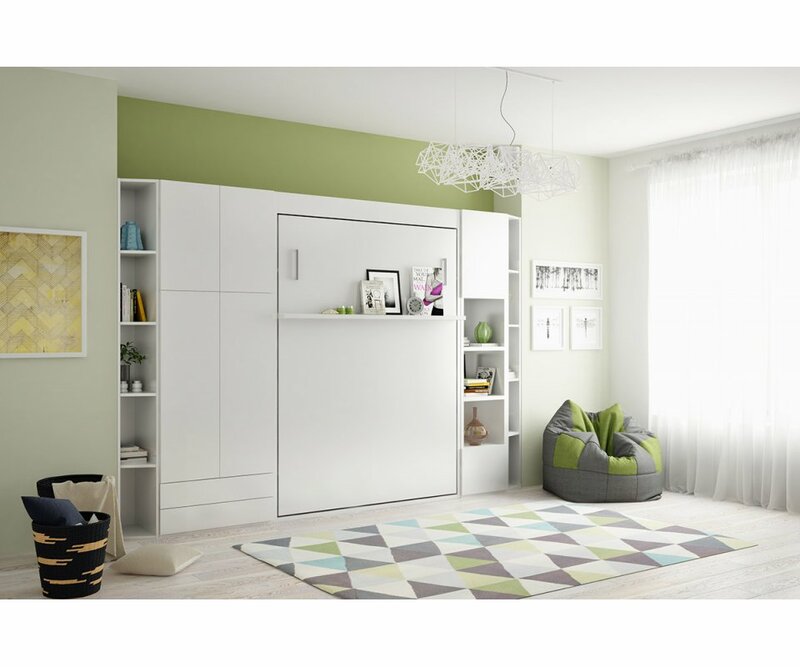 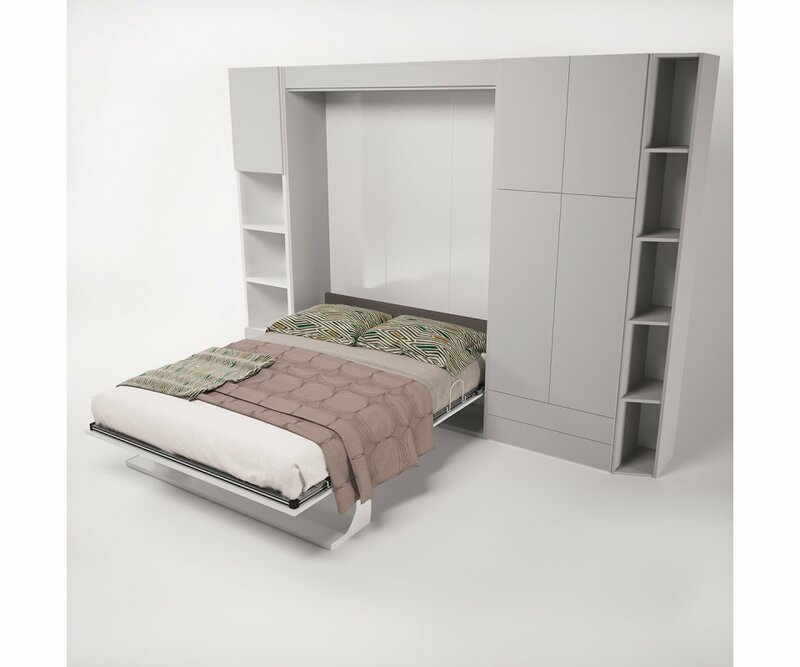 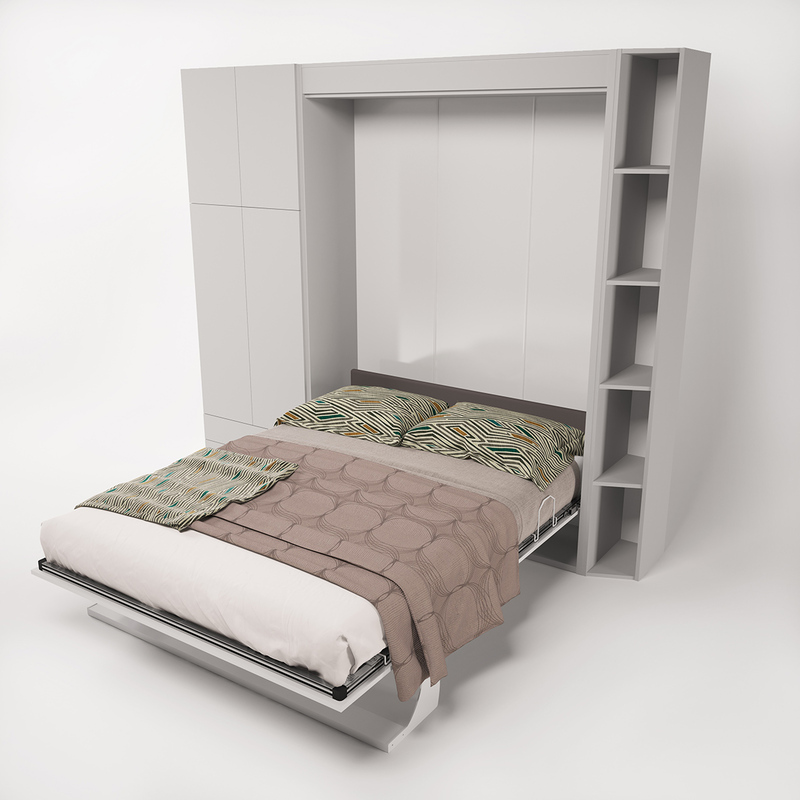 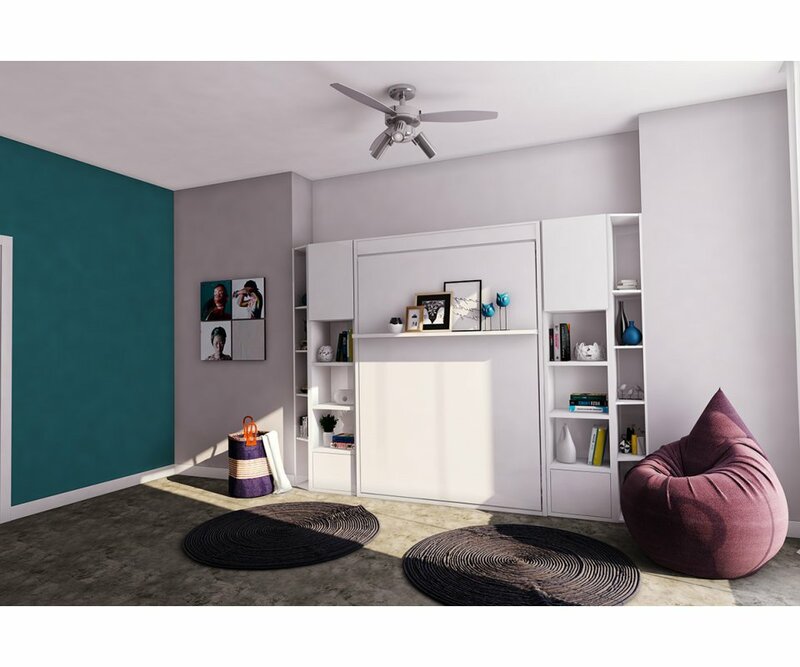 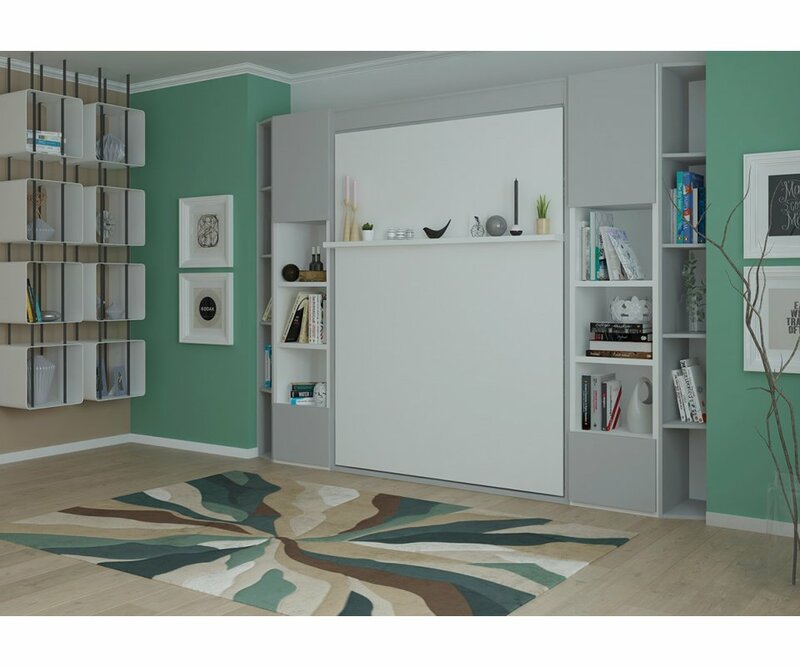 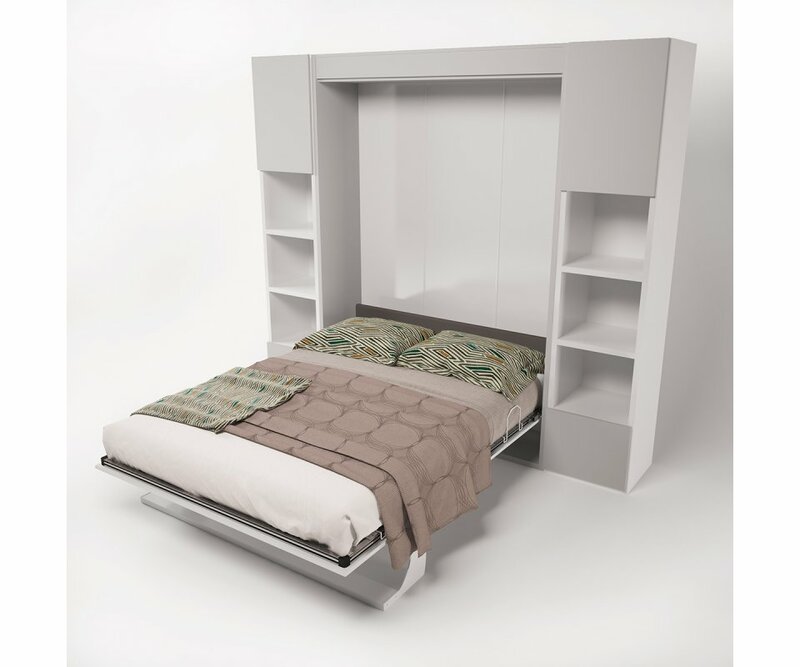 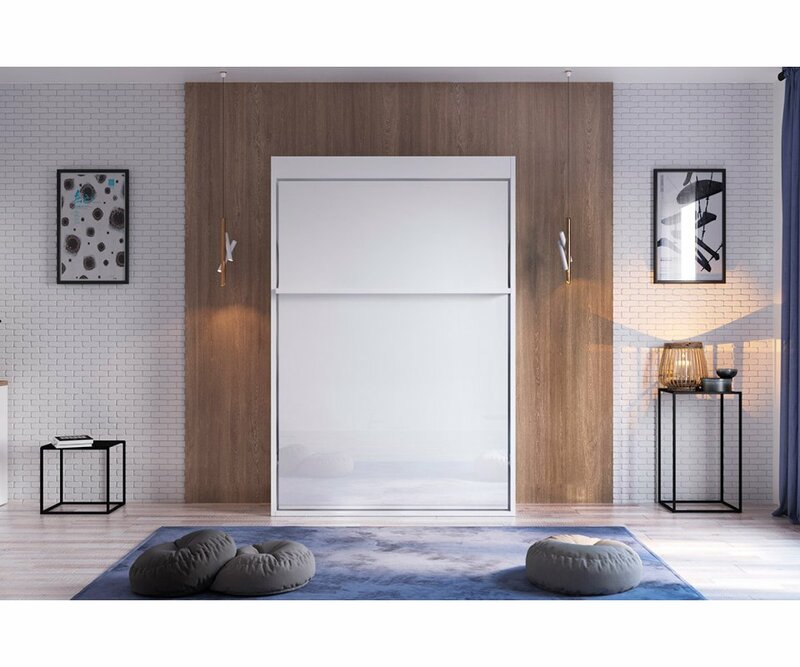 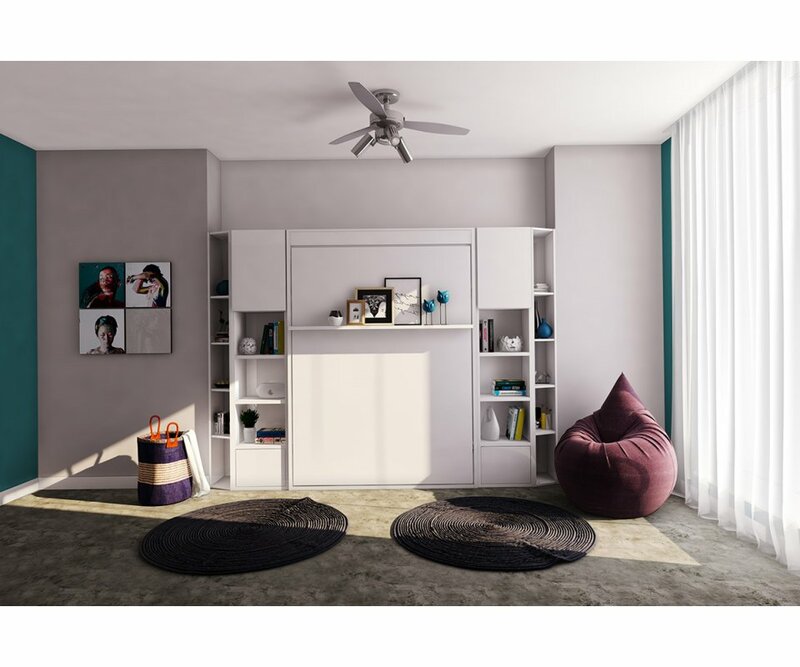 The Multimo Bellezza style wall bed has a queen-sized bed neatly stored inside a cabinet that can create an extra wall in your home, or can fit against an existing wall in just 17 ½”x64 ½” of floor space! 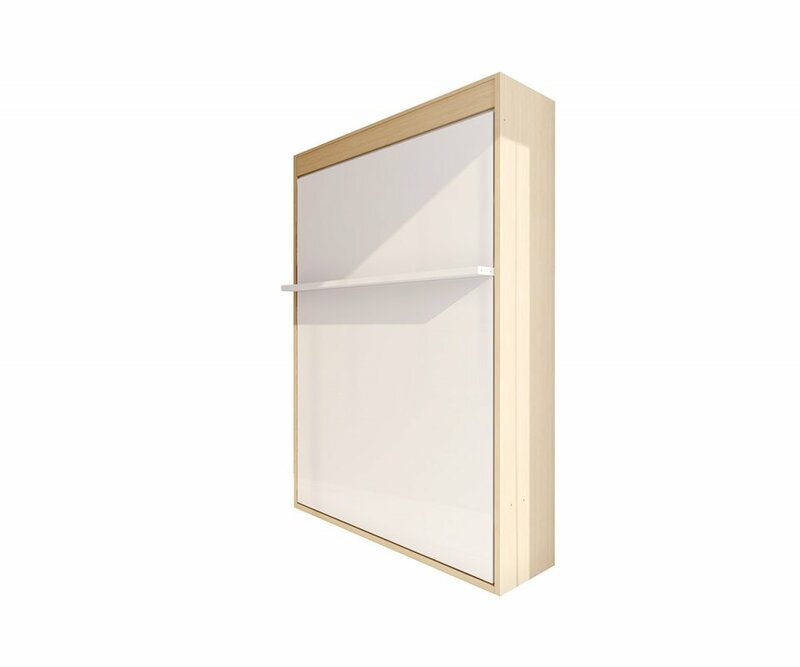 The front of the cabinet has a display shelf wide enough for pictures and décor accessories, and the top of the cabinet is wide enough for books, plants, accessories, or collectibles! 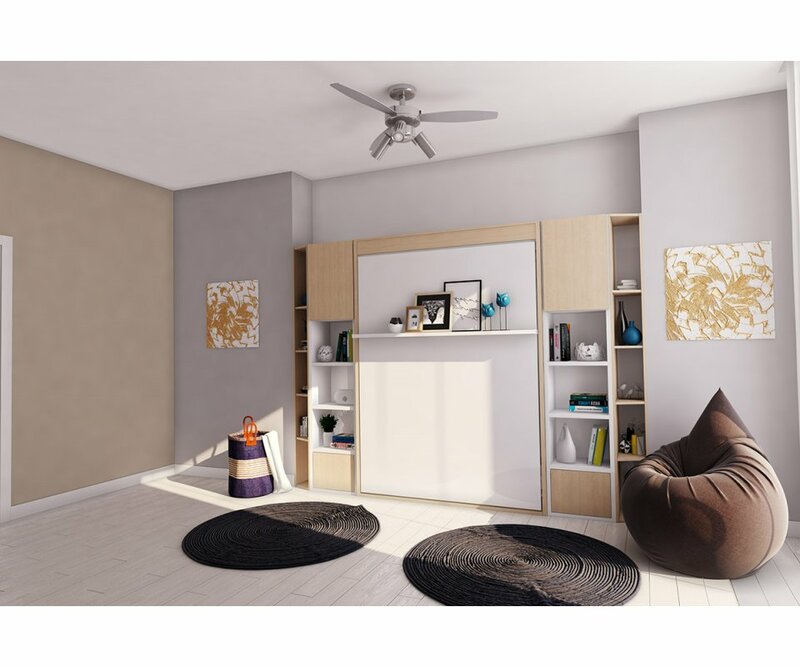 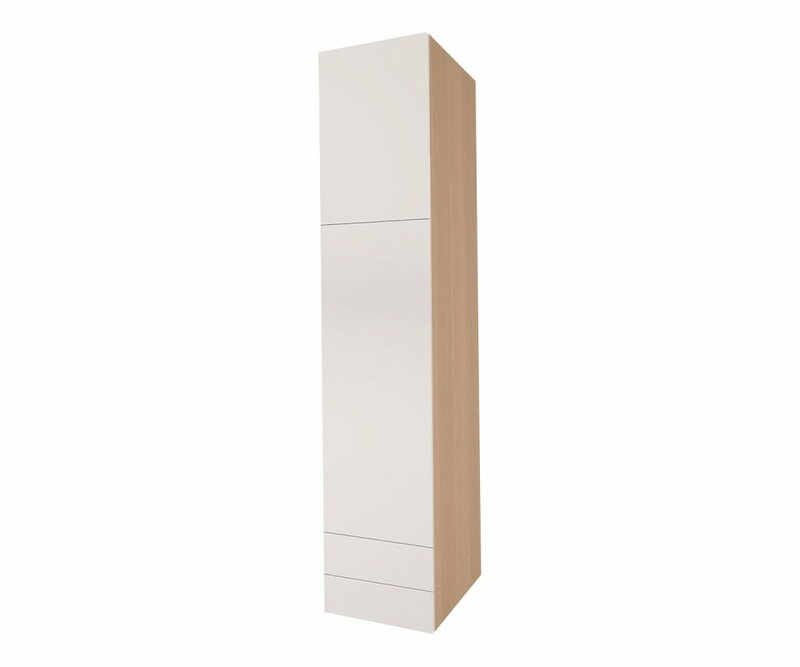 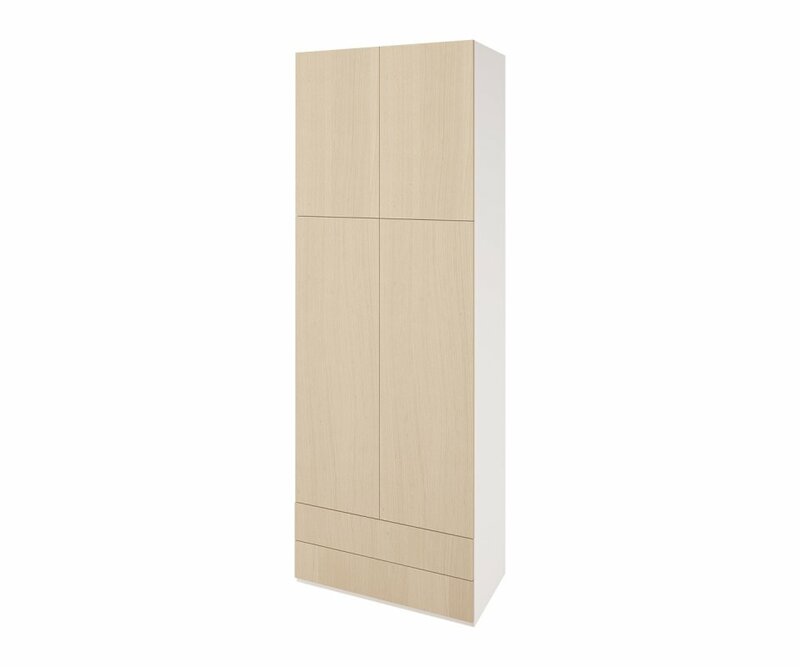 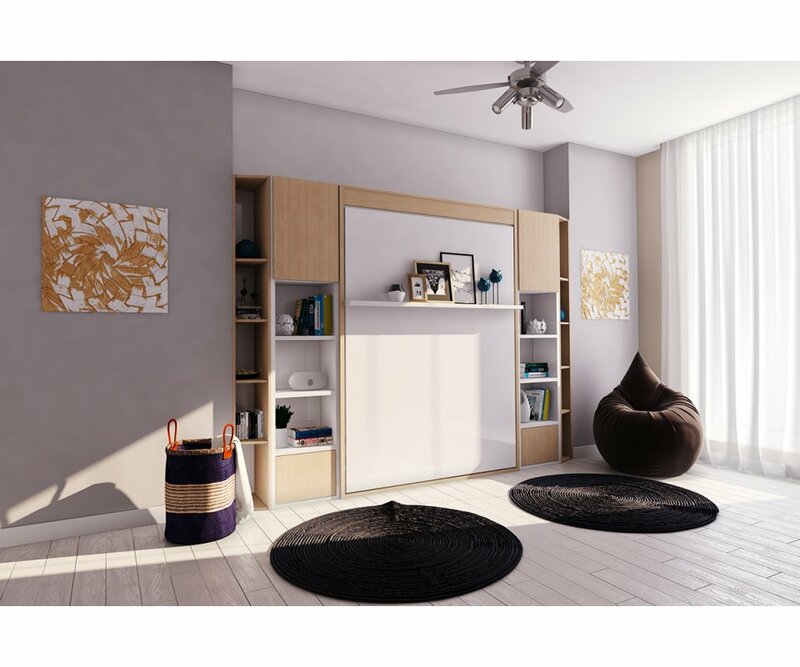 The Bellezza comes in either a light, natural woodgrain or a high-gloss white laminate finish, which will blend with almost any home color scheme and design. 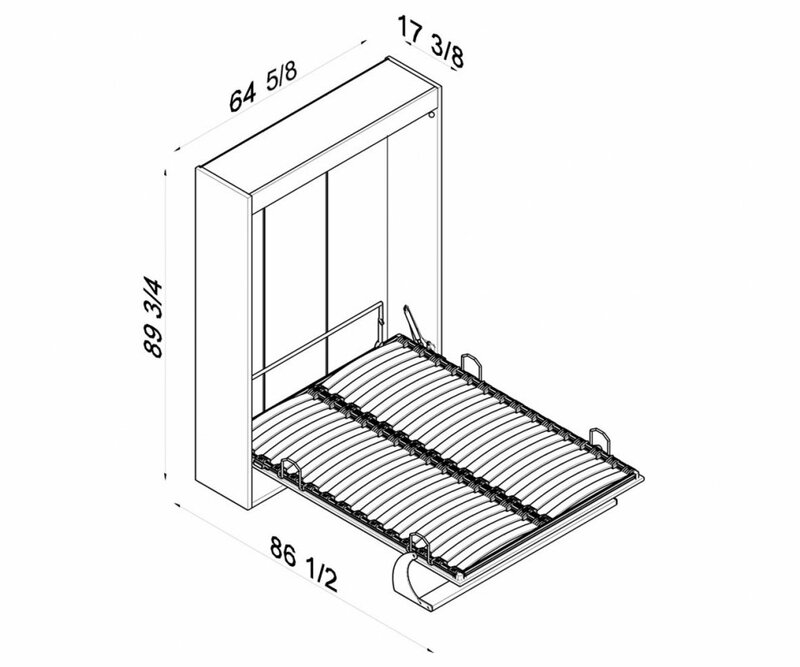 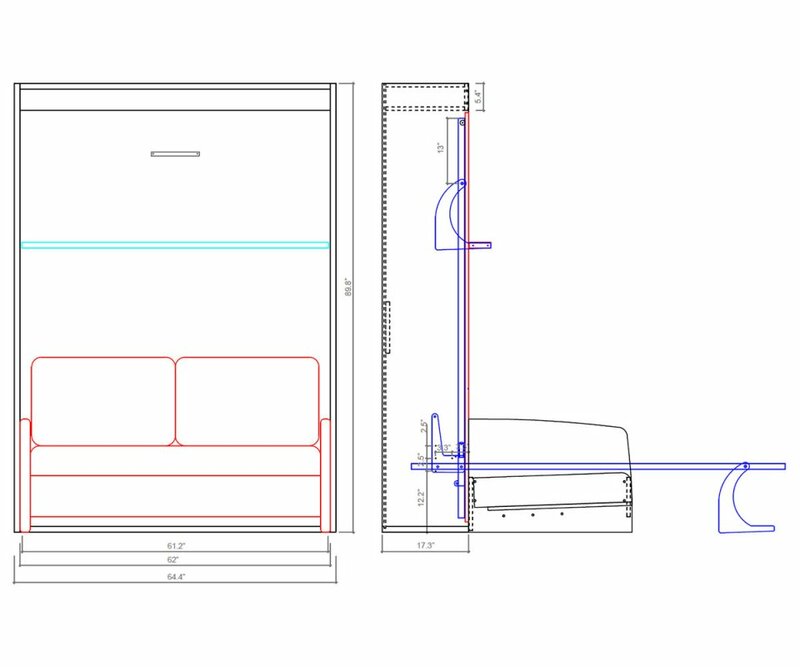 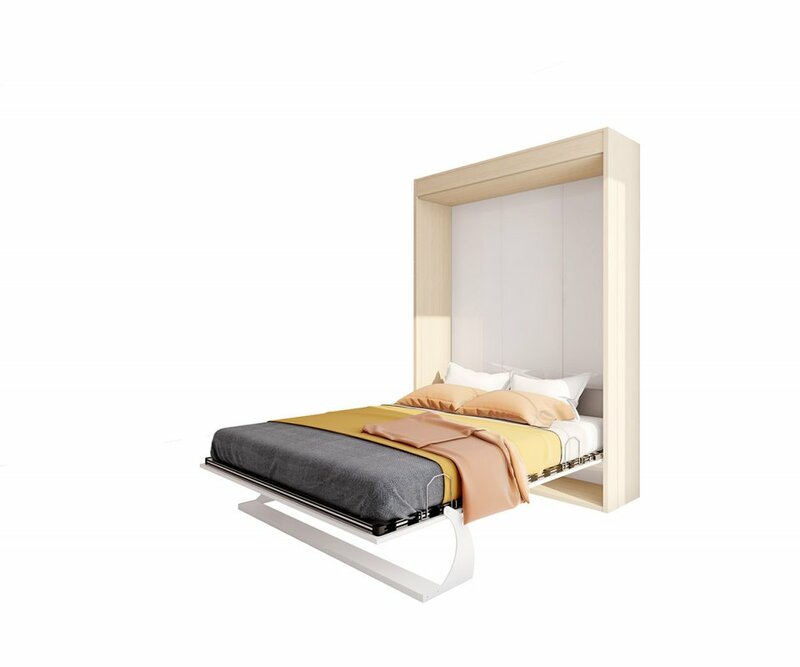 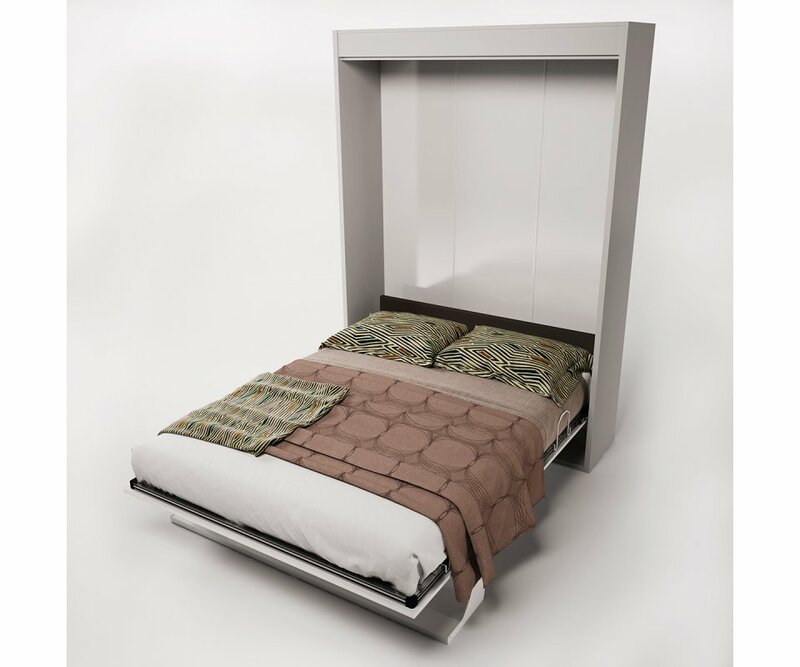 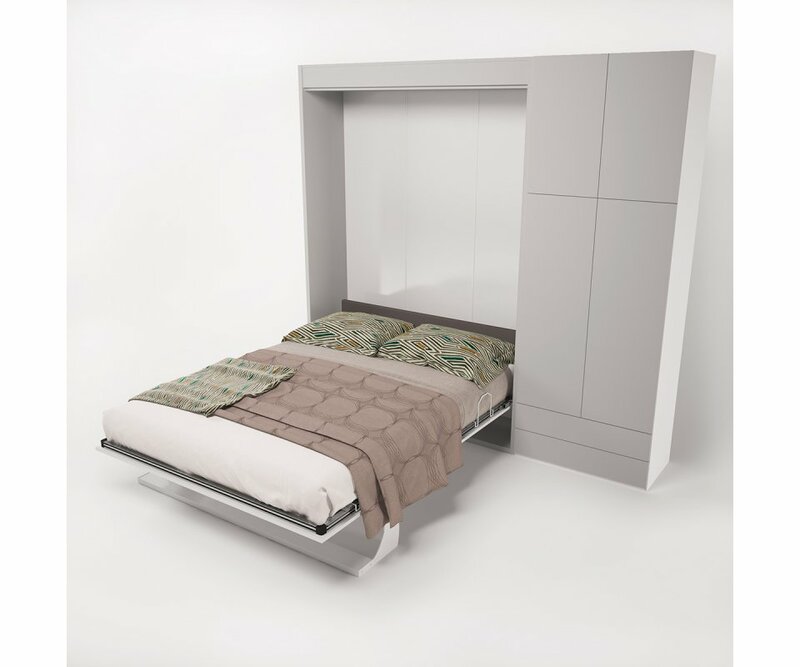 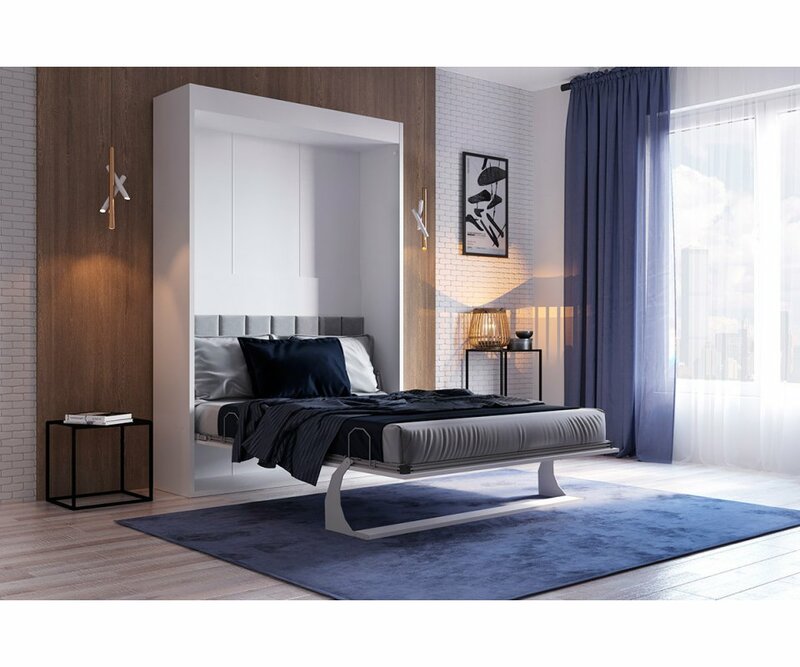 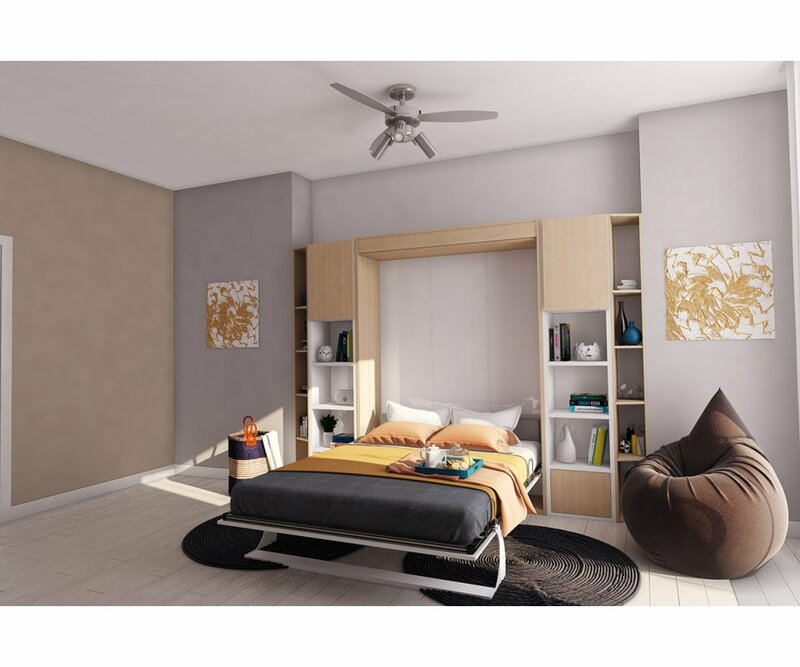 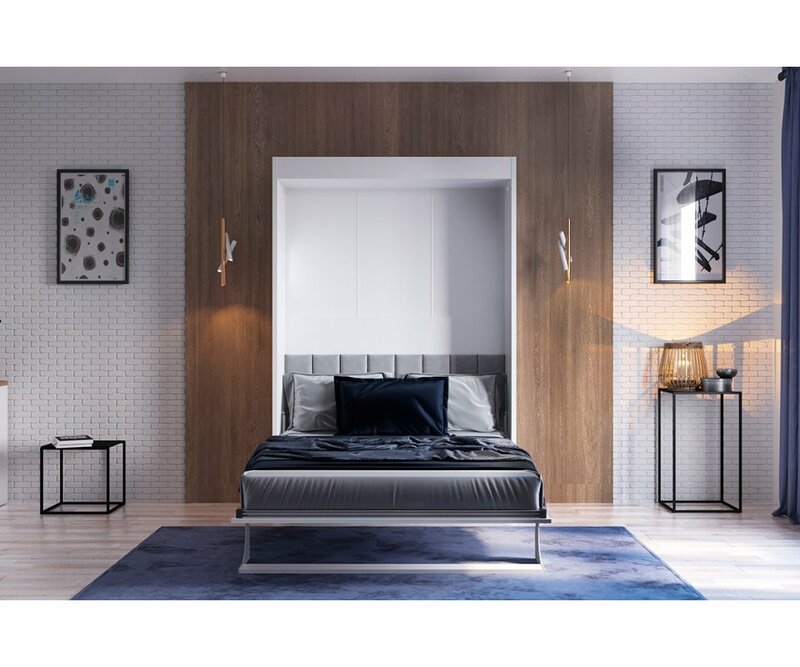 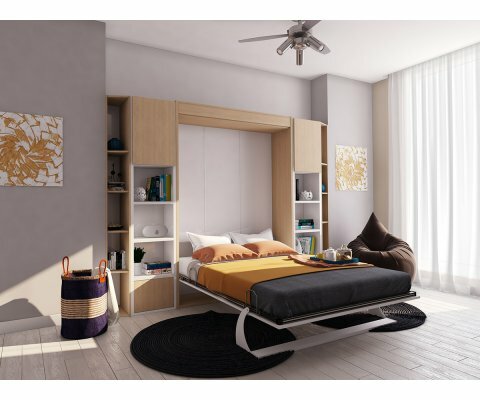 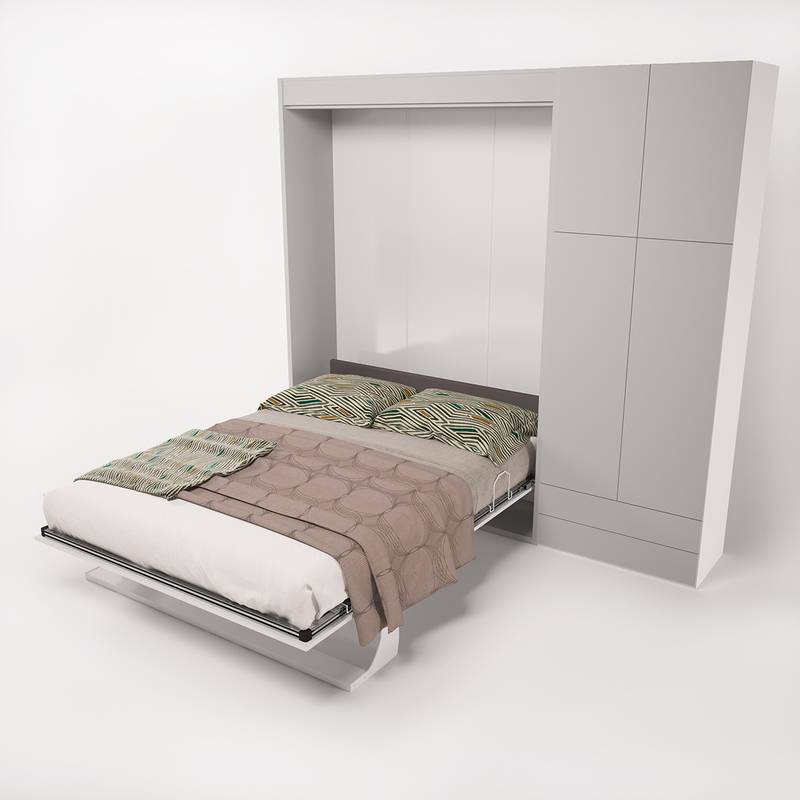 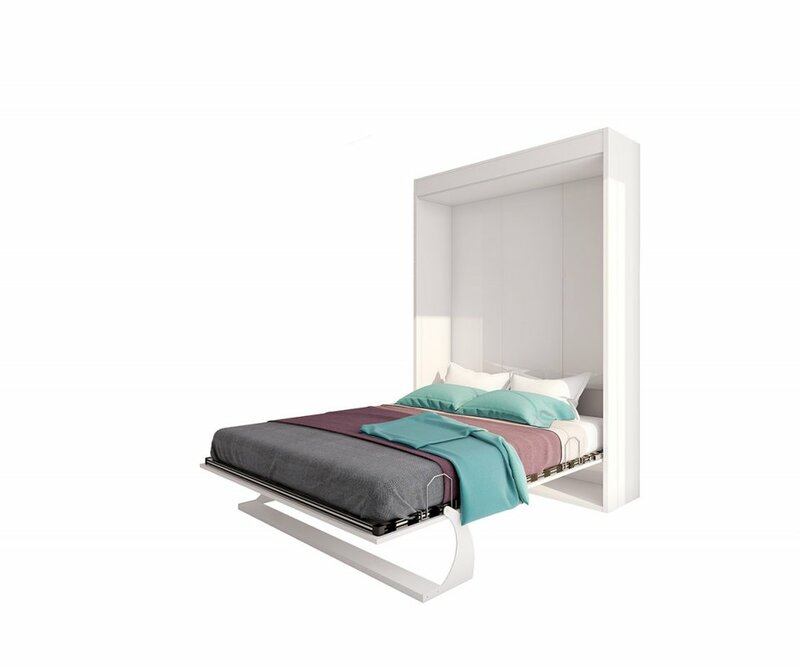 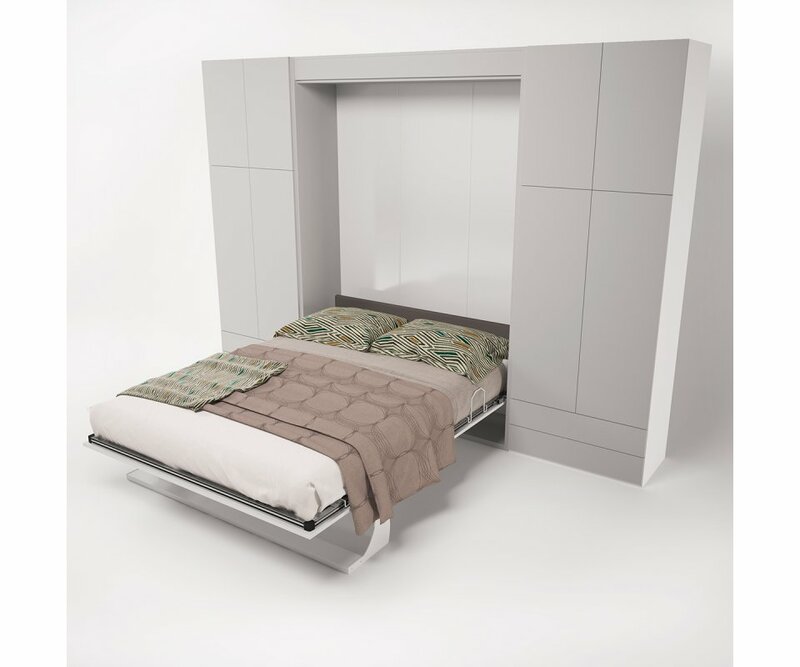 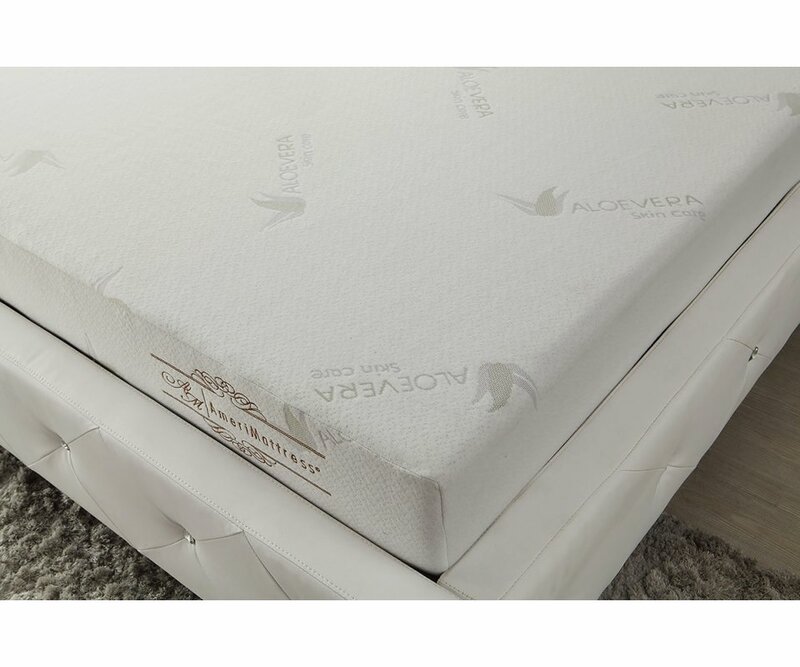 Our wall beds are designed with longevity in mind, using certified, thick laminated chipboard, heavy-duty hardware, and strong aluminum bed frame with solid wood slats. 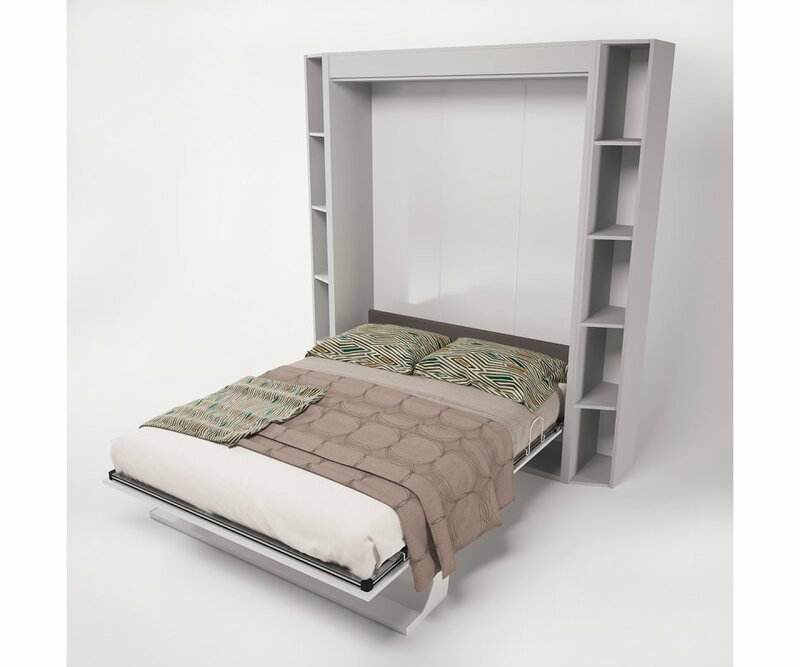 You can even open and close the bed with one hand with our ergonomic new generation gas shocks mechanism! 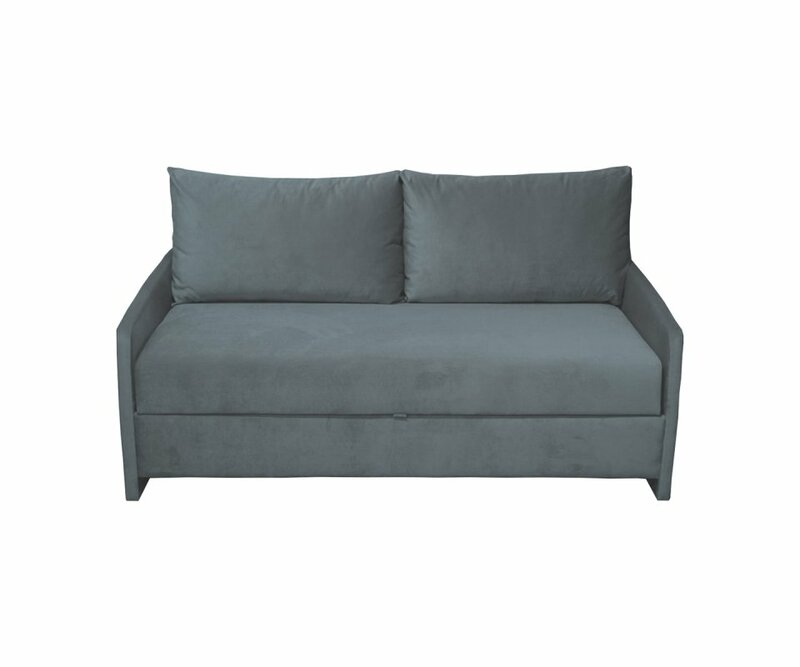 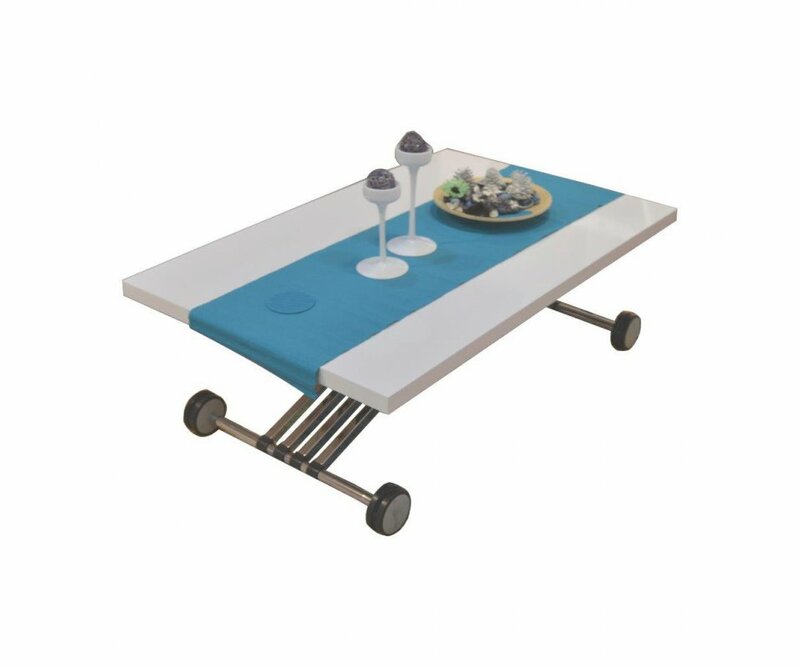 Easy-Elegant-Ergonomic! 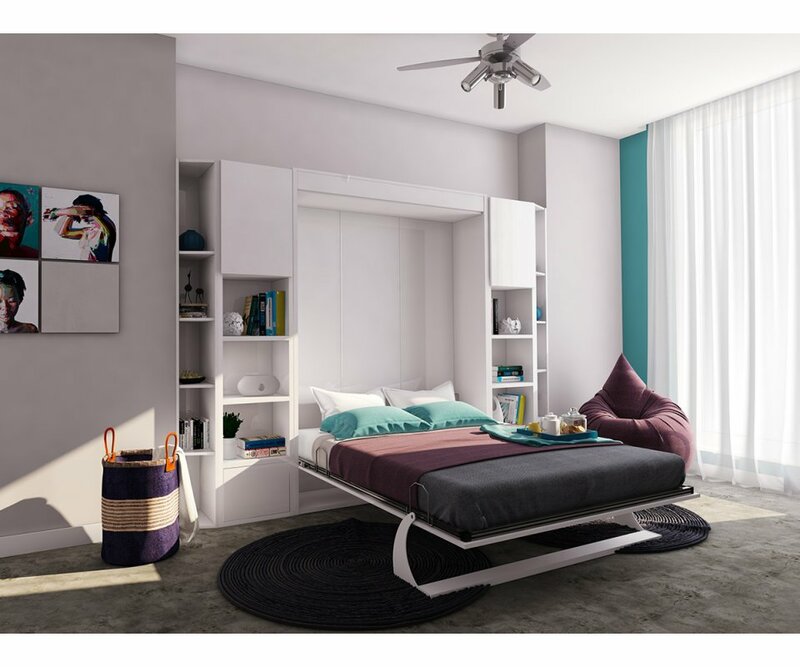 You really can have it all!